Credible reports of an estimated million Uyghurs and other Turkic Muslims detained in political re-education camps. Extensive abuse of surveillance technology. Systematic targeting of human rights lawyers and civil society. Deep and persistent inequalities in access to quality healthcare and education. Expansive cross-border law enforcement that catches up non-nationals, including EU citizens, in its net. This is the setting for the EU-China Human Rights Dialogue, scheduled to be held on April 1 in Brussels. Against this grim backdrop, European leaders must be clear and unequivocal in highlighting where China must change its practices. Recent weeks’ discussions on China leave much to be desired. In March, the EU failed to act at the UN Human Rights Council to ensure that independent international experts could monitor and report on the plight of Uyghurs in Xinjiang. The delegation delivered a standard statement calling for access to the region and the release of individuals detained in the re-education camps, a call echoed by a number of member states. But faced with such massive violations, words alone are hardly adequate. A joint statement putting collective concerns squarely on the table, followed by discrete actions at the national level to incentivize cooperation and sanction ongoing crackdown, would have been the bare minimum and a no-brainer – for any country other than China. Simultaneously, back in Brussels, the European Commission’s report contributing to European Council discussions fell far short of “clear” and “unequivocal” where rights are concerned. Reference to progress in economic and social rights rings tone deaf. In the last year alone, UN experts have been explicit in raising concerns about the impact of Chinese policies in this area, including the wholesale removal of “low-end populations,” the limits on bilingual education, destruction of nomadic traditions, and poor occupational safety and health conditions. Mentions of the massive violations in Xinjiang and the tightening clampdown on speech and association in China consist of three short sentences in a report that comes in at 11 pages. In fact, as far as human rights go, the report recommends only that the EU work with China to advance the three pillars of the UN. In reality, China’s efforts in Geneva and New York push for the opposite – defunding human rights positions in UN peacekeeping and hindering the work of the UN’s human rights office. For those who didn’t read the strategy report, EU High Representative Federica Mogherini’s press remarks following a Strategic Dialogue with China on March 18 are equally instructive. Rather than pressing publicly for unfettered and independent access to Xinjiang, she stated only that “points of view might differ” between the EU and China. This does a great disservice to human rights defenders on the ground in China, who look to the EU to stand up for their work, and for universally-recognized human rights and the system that monitors them. EU member states – at least some of them – have recognized the importance of a coherent approach to China. The meeting of French President Emmanuel Macron, German Chancellor Angela Merkel, and EU Commission President Jean-Claude Juncker with Xi Jinping on March 26 reportedly impressed the importance of “unity of the European Union and the values it carries in the world.” But these values were given short shrift in a discussion primarily centered on economics and trade; even mention of support for “multilateralism” must come with caveats, as China has repeatedly demonstrated its willingness to interpret international norms loosely, and never at a cost to its own national sovereignty or territorial integrity. The beleaguered relationship of the bloc with euroskeptics Hungary and Greece, which have repeatedly scuttled efforts to raise human rights concerns regarding China at the UN, has recently gotten more complicated. The rapprochement of Italy with China – whose far-right government joined the Belt and Road Initiative earlier this month and hosted a triumphal visit of Xi Jinping to Rome, both to the consternation of critics globally – also raises questions about whether this European “unity” is a reality. Without it, Brussels seems to have decided that silence is the best policy, even in the face of potential crimes against humanity. At the end of a long month of EU-China discussions, the Human Rights Dialogue seems to be the only avenue left. The strong public press release following the last iteration of the Dialogue in 2018, naming specific defenders and calling for their release, was a welcome improvement over past years. But meaningful and substantive follow-up on those discussions is essential to demonstrating that the Dialogue can produce concrete outcomes, not just a press release. Such action would include putting the conclusions of the Dialogue squarely on the agenda of the EU-China Summit – at which, sadly, the EU’s top officials have a long history of burying their heads in the sand. 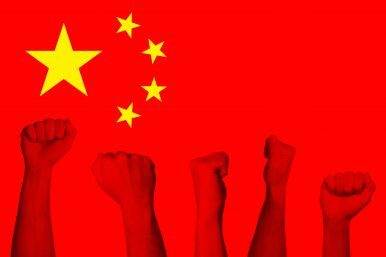 Decisions about partnership with China on economic integration, development cooperation, digital infrastructure, and security threats will have significant human rights impacts – and in some cases, perhaps even human rights costs. Any meaningful and “pragmatic,” “sustainable,” or “mutually beneficial” partnership should be able to balance these tensions, not seek to avoid or downgrade them. We need a change of script. Pragmatism consists in acknowledging weaknesses and working to overcome them, while sustainability is undergirded by respect for human rights and the rule of law. A relationship that is “mutually beneficial” should not be judged on its ability to meet state interests, but its capacity to improve the lives of people in China and in the EU. The EU-China Human Rights Dialogue can only be effective if it complements and informs the EU-China Summit, and for that matter EU actions at home and in multilateral fora. Europe can stand up for its values and interests by ensuring that its engagement with China remains principled. But to do so, the EU must put human rights center stage in its discussions with China, not relegate it to the wings. Sarah Brooks is program manager and human rights advocate at the International Service for Human Rights (ISHR) focused on the Asian region. The new China resolution of the European Parliament differs considerably from the 2015 version.